Rousseau was at the forefront of a new field, pioneering the invention of mechanical arm mowers. Since then, the company has manufactured nearly 75,000 arm mowers and turbomowers. Today, Rousseau has partnerships with 150 dealers to ensure first-class and responsive coverage throughout France. Rousseau exports its products to a number of countries, particularly in Europe. Its principal importers are located in Spain, Belgium, Germany, Switzerland, Poland and Portugal, where Rousseau has been able to enhance its presence through the dynamic and professional services provided by its local partners. In 2004, Rousseau became part of the Alamo group, a worldwide leader in upkeep equipment for roadside areas, thus extending Rousseau’s international reach. At its 16,000 m² industrial site at Neuville-sur-Saône (near Lyon), Rousseau produces more than 100 items of upkeep equipment. Organised into hubs, the company’s expertise includes an engineering department responsible for the design of all of our arm mowers, a spare parts department, and an after-sales department, thus ensuring a comprehensive and professional service. 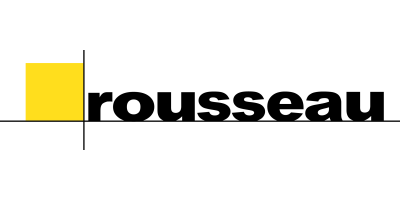 Quality assurance is of the utmost importance throughout the development, manufacturing processes and industrialisation of all Rousseau products. 1962:Rousseau invented the first arm mower with a rotor and mechanical drivetrain. 1970:Rousseau launched Castor, the first long-range arm mower with a telescopic boom. 1980s:Rousseau continued to develop in the roadside maintenance market with the launch of the Mangouste. 1990s:Advent of the Fulgor range, created to meet the heavy-duty requirements of agricultural contractors, public works fleets and motorway companies. SIMA Innovation Award for Visiotronic controls. 2000s:Launch of the Arthéa, Tinéa, Théa and Agora ranges. Optimisation of driving comfort with the integration of control interactivity (SPLC control) and top of the range options. 2010s:Advent of a new generation of arm mowers, Kastor and Altéa, with their original design and unique manufacturing concept, the use of hot rolling.